Pets are great. Trembath Mountain Ranch mainly sells steers as pets. They have a good disposition and it gives us a place to “Home” those males that are not the very best for breeding. These “Pets” also maintain the pastures, including trimming up the trees. These are “Pasture Ornaments”. Some people just like the look of them and Mini Highlands are very easy to maintain, for many reasons. As mentioned above, the cattle also maintain the pastures. Sometimes just a couple of steers will fill the bill, but some people want the opportunity to also have babies each year. Often, they will keep the female calves and eventually butcher the males. They are great eating. These buyers also get “Bragging Rights” and that simply means that visitors and friends and acquaintances just love to ask about them because they are fascinating. 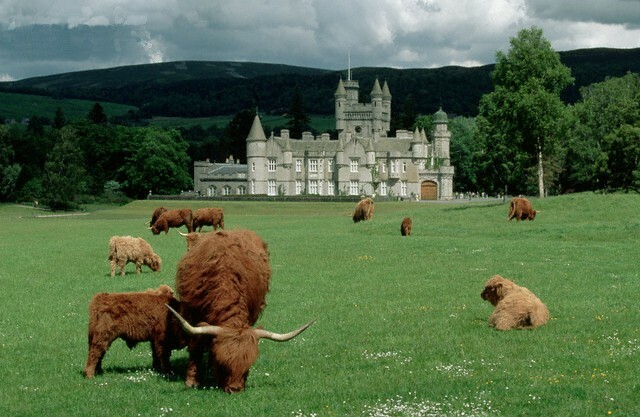 They have great history and are kept by some very interesting people (the English Royal Family has kept a herd of Standard Highland Cattle at Balmoral Castle for more than 50 years. Individuals with Petting Farms, traveling Petting Zoos and owners of rehabilitation farms like the Mini Highland Cattle because they are among the most gentle of all cattle and they are so small that they don’t easily intimidate kids and adults. Just watching these little cattle graze is therapeutic. They can be trained to pull wagons and even ridden. A business such as a winery might have a few in the pasture just to set the atmosphere. This is the toughest category because it looks easy. It can be relatively easy but it is not simple. Many things come into play and it takes time to build a herd. It is expensive. You have to buy the best animals available and make a long term commitment. Having said that, it can be a business and it can create some income. Think of the business as being like the Alpaca, Miniature Horse, Miniature Donkey and Ostrich businesses. While the animals were rare, people made pretty good money, but after the markets saturated, prices dropped. You also have to treat it like a business and keep track of your finances. Marketing is a real key. It is easier to raise the animals than it is to find qualified buyers. It has taken Trembath Mountain Ranch many years to build this breed and become successful. But it was an enjoyable journey. They are beautiful and wonderful to be with. The buyers come from all walks of life. However, the best business buyers are people with some wealth that are looking for the visual and aesthetic benefits – these are the “Lifestyle” people. Many are already “Country Folk” and others are relatively new to owning a few acres. They can be retirees, animal collectors, previous cattle owners, operators of rehabilitation ranches. The professions run from Foundation directors, Marketing people, Investment Counselors, Outdoor Park Owners, Doctors and other Medical Professionals, Bankers, Construction Consultants, Manufacturers, Ranchers and Farmers, Contractors and Retirees. Females are usually the first of the family to make inquiries.